Working on a client's 2010 site the other day, I came across a slight quirk with SharePoint 2010 form libraries. The client had created a SharePoint site and wanted me to create some InfoPath 2010 forms and Nintex 2010 workflows. However when going to create the form library, the form library template under 'libraries' in the 'create' popup box was missing. 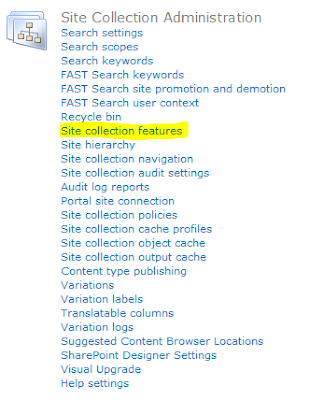 So I started scouring around the site features and low and behold the feature that got me the 'Form Library' template back was the 'Team Collaboration Lists' site feature.